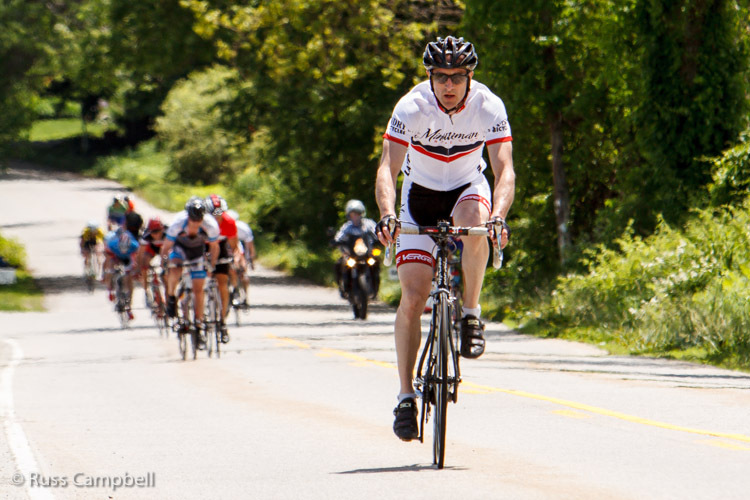 Minuteman Road Club’s Rob DiBattista raced to the top spot in the Mens 35+ Cat 4 heat of Green Line Velo’s 2013 Purgatory Road Race on a hot and sunny June 9th Sunday in Sutton, MA. DiBattista powering up Lackey for the final push to victory. Rob’s plan was to sit in the field and reserve everything for the final run up Lackey Road but his competitors kept pushing the pace and stringing out the pack. Teammate Jacob Lipcon buried himself several times in support, chasing down the breaks that tried to get away after each of these surges began to subside. The Sterling Classic Road Race returned for it’s 19th year on a day that early forecasts hinted at a return of the biblical weather of 2010 yet it turned out to be merely cloudy, a little damp and the perfect temperature for racing. 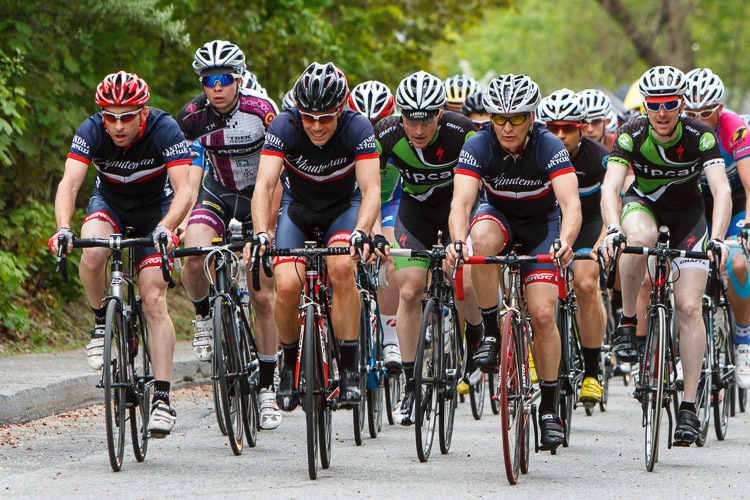 MRC Members PJ McQuade, Chris Pare and Doug Kennedy lead the Mens Cat 3 field up Meetinghouse to start their first lap. Nine fields of racers made their way around the hilly 8 mile course throughout the day with marshaling and pace car support from volunteers who were not only members of the Minuteman Road Club but other clubs, residents of the Town of Sterling and Boy Scout Troop 189. Also on hand was the team of SRAM Neutral Race Support vehicles and their drivers, ready to supply racers in need of a wheel or a bike.